Learn about the amazing dry stone bridges (and perhaps a few mortared ones) of Southern New Hampshire. 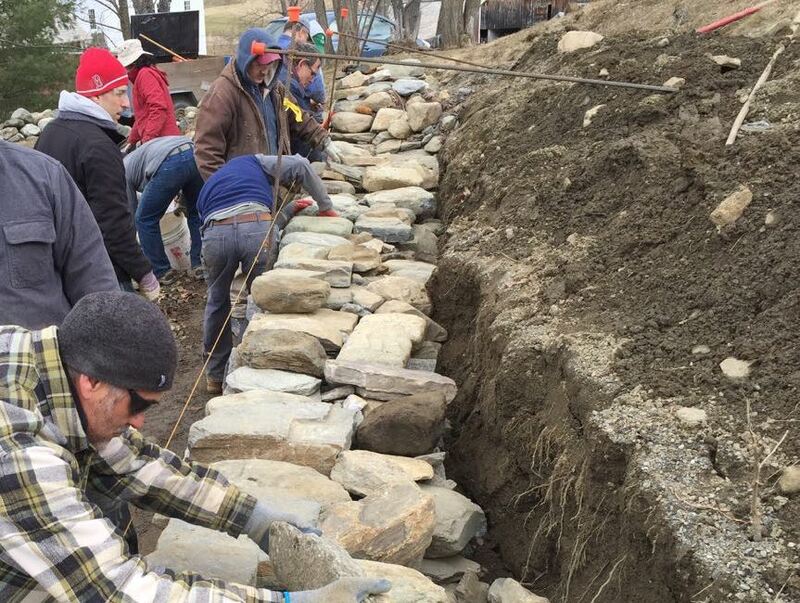 This specialized two day workshop will teach two building techniques traditionally used to build field walls when large stone was the readily available building material. If you have ever wanted to try your hand at an artistic dry stone wall, or improve your skills, this is the workshop for you. This workshop will spend the day learning about how to shape stones for use in dry stone walls. Participants will be introduced to a variety of stone types, and how to work with them. 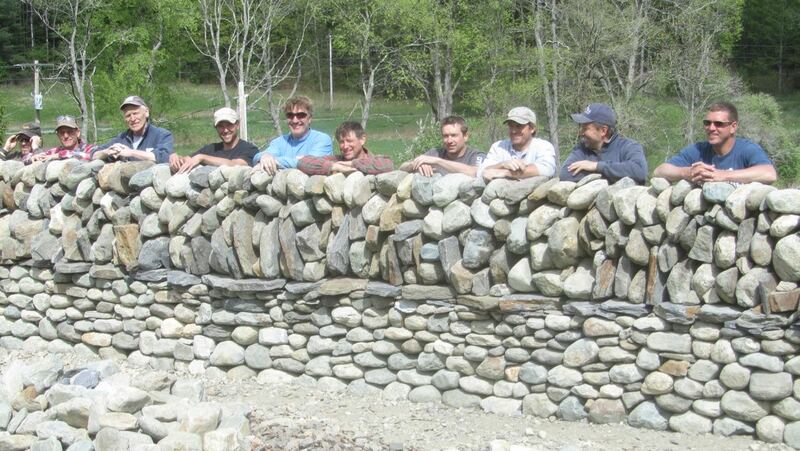 This workshop is all about how to build and use guides for dry stone walling. We will show you different methods and materials to build batter frames for a variety of situations. Here in the Northeast, many of the walls people are building are retaining walls. The focus needs to be on a sound structure that will last for generations. 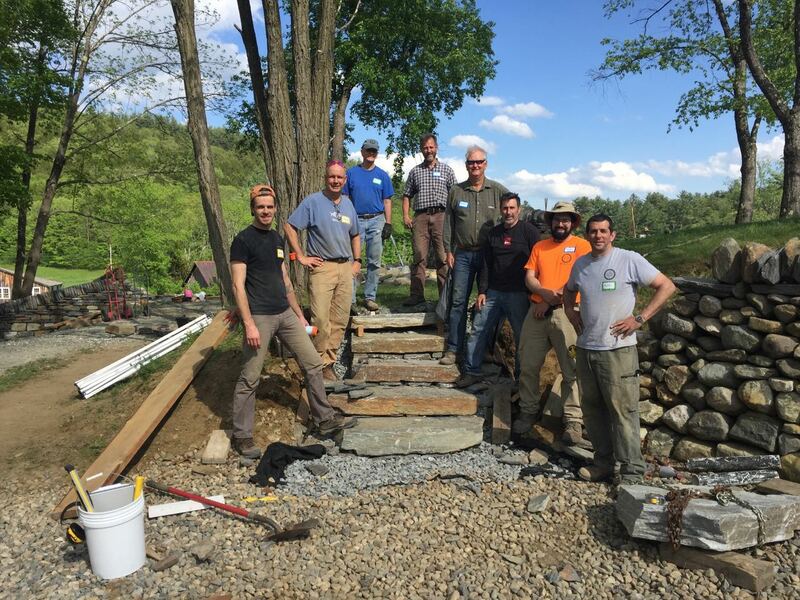 This workshop will teach everything you need to know in order to build strong and long lasting dry stone steps. Have a patio or walk way to build? This is the workshop for you! Learn the fundamentals of patio construction in a fun, energetic, hands-on environment.